I arrived pretty early, and the place was much less busy than normal, which was nice. The hoards of mallards were less crazy since there were fewer kids raining bird seed on them. The night herons were in their normal spot in the trees near the front entrance, but they were asleep and buried deep in the branches, making it tough to get any pictures. There were a surprising number of wood ducks hanging about. They’ve become much less skittish around people, over the last few years. 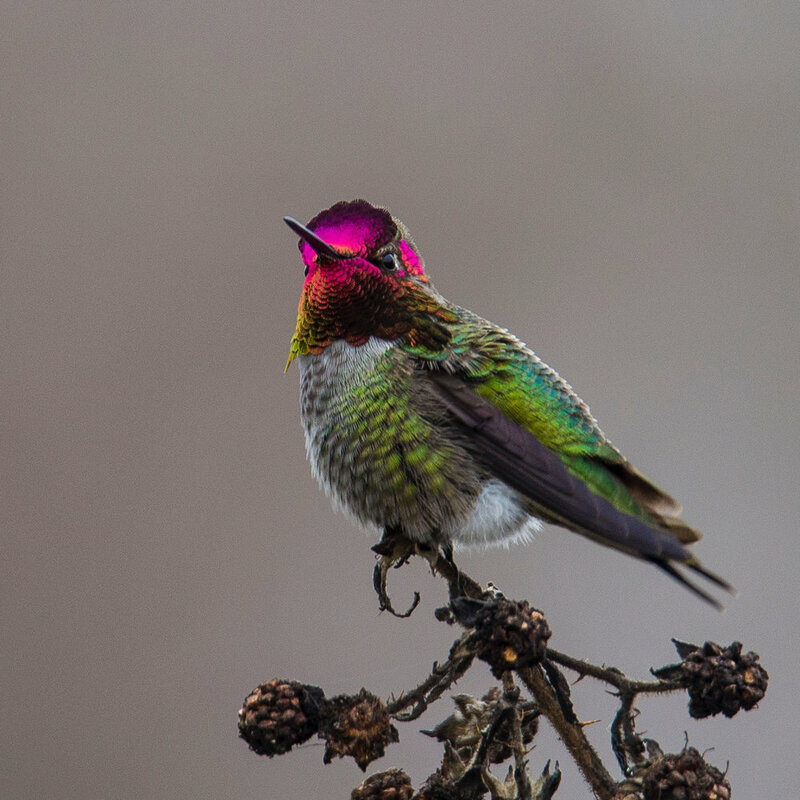 Even in the grey, overcast morning light they provide a burst of colour. 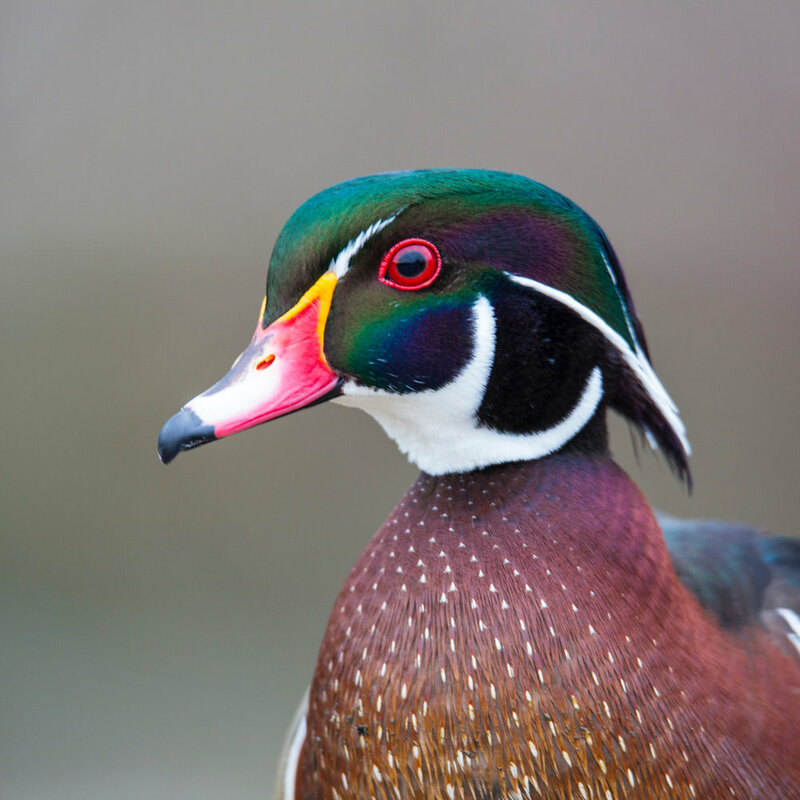 Another close up of one of the male wood ducks. 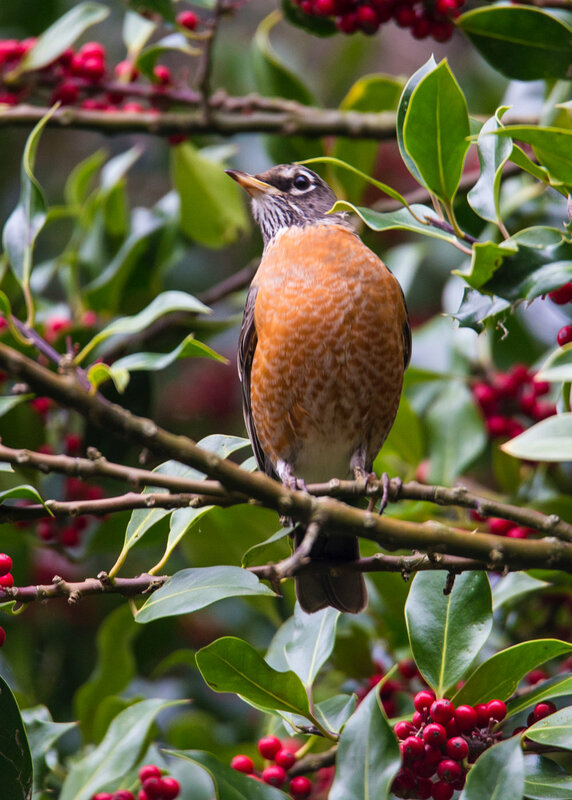 There were huge flocks of robins throughout the sanctuary. More than we normally see. The usual assortment of chickadees were following me around, hoping for some seed. 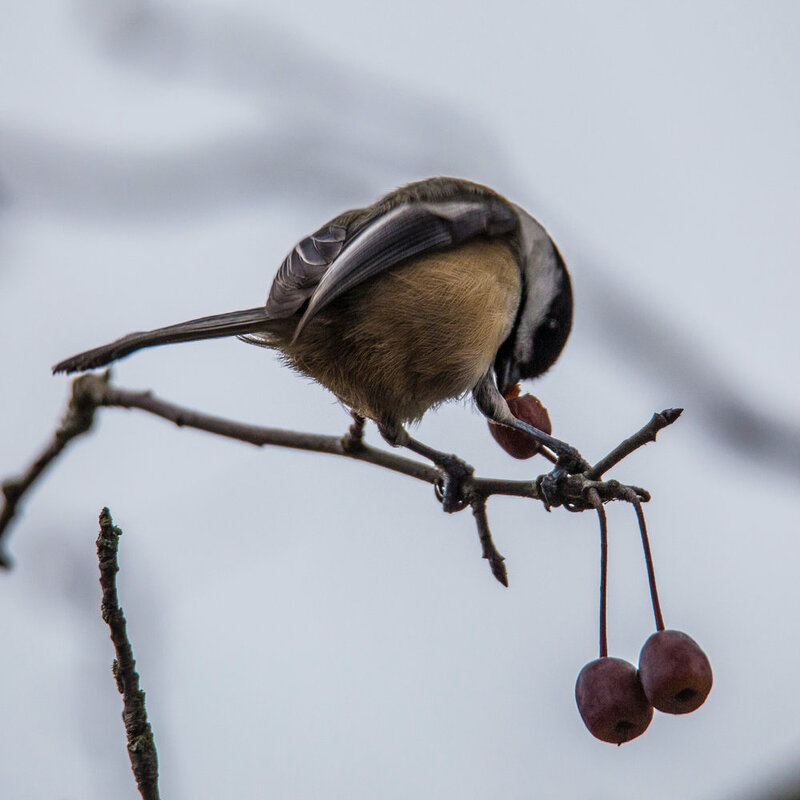 This one decided enough was a enough, and started snacking on some berries. 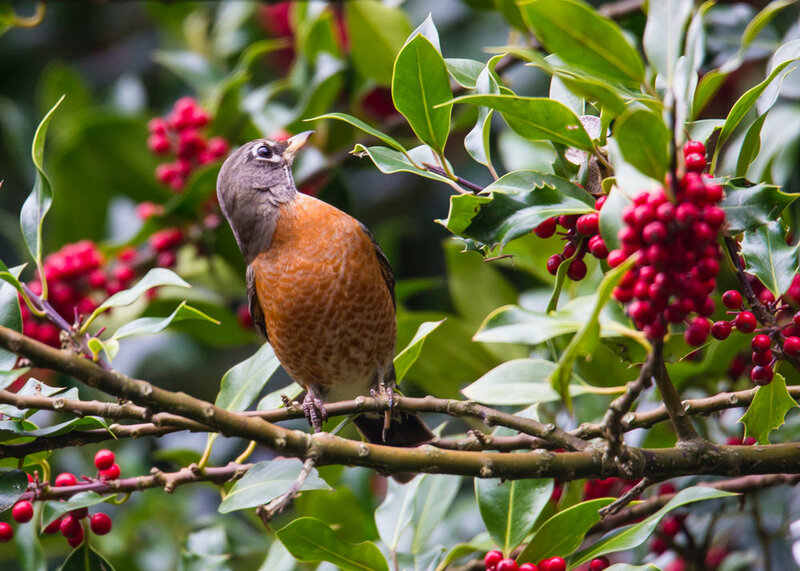 The robins like this holly bush, and look so nice nestled in the bright green foliage. I did the usual walk up the outer edge, hoping for some owl sightings like last time. No such luck. There were lots of chickadees (as always), juncos and a few spotted towhees. And squirrels. But they don’t count. The tide was very high, so there was a lot more water in the march than normal. For whatever reason, that didn’t equate to more birds being about. 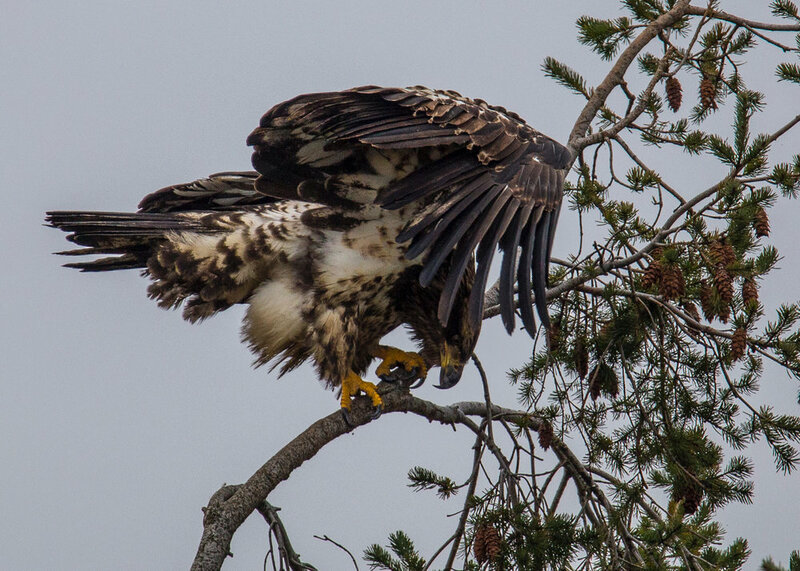 There were a few eagles sitting up in the trees along the marsh. With it being overcast, they weren’t up soaring as they would be on a blue sky day. I headed down to the tidal ponds and the tower. 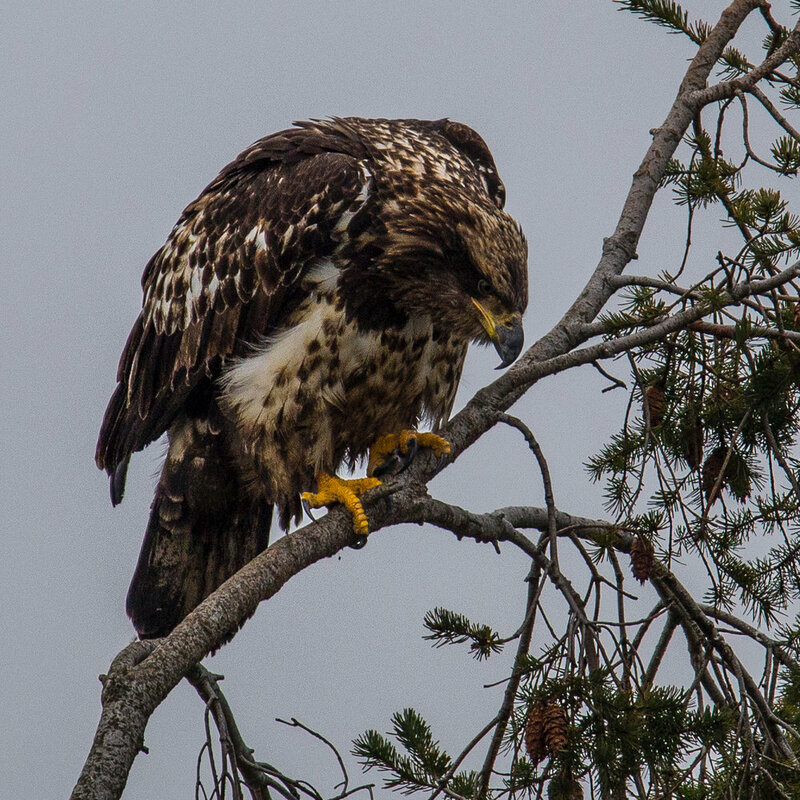 I don’t normally go up the tower, but there was a juvenile bald eagle at the top of one of the trees, and it was making quite a lot of noise. I headed up the tower for a much better view. I was hoping it might fly off eventually, but instead it just shuffled around, made a lot of noise and generally teased me by not flying off. After giving up on the eagle flying off and giving me some good action shots, I headed back down the tower and out around the outer trail. The ponds were quite active, with large flocks of birds. 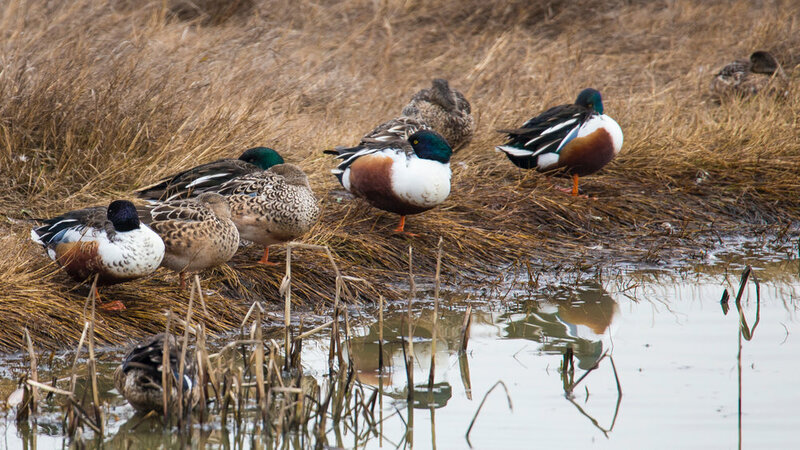 There must have been 100-200 northern shovelers, easily the most I’ve ever seen. Normally there’s a handful, about, but this time a whole flock. There was also a big flock of shorebirds - haven’t quite figured which ones yet - and an assortment of herons stalking the shallow ponds. 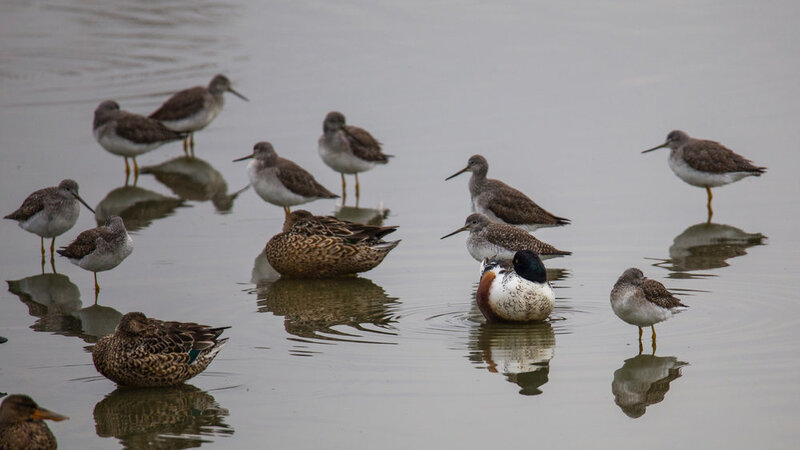 Part of the flock of northern shovelers. 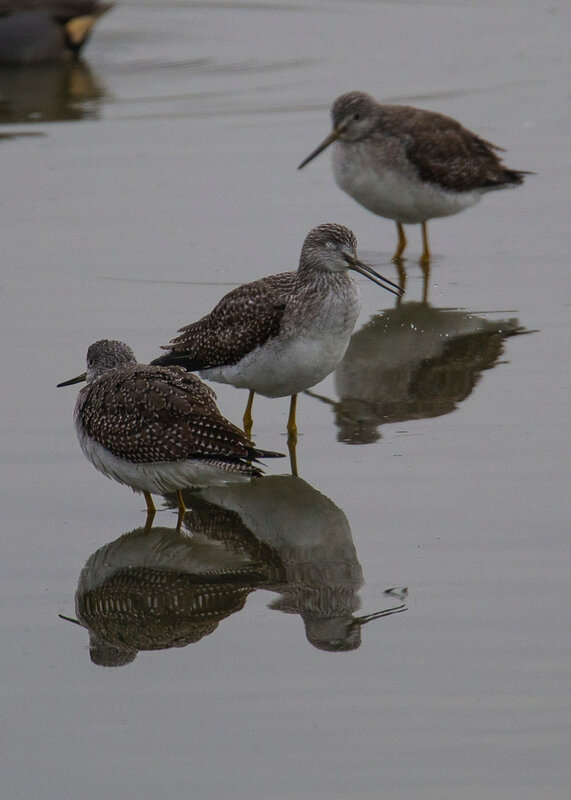 I think these are greater yellow legs, but I’m not 100% on that one. Lots of birds, hanging together. 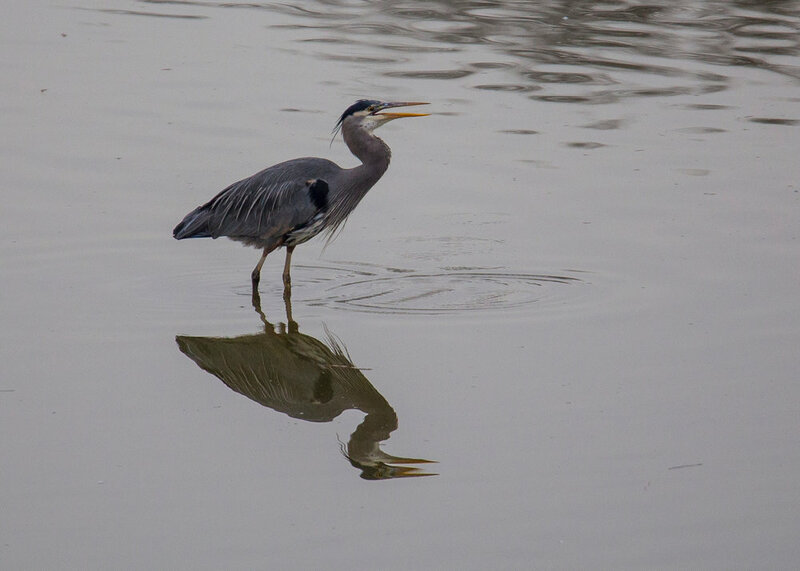 The great blue herons seemed to be having some luck fishing. Out on the edge of the water, there was a small flock of trumpeter swans. 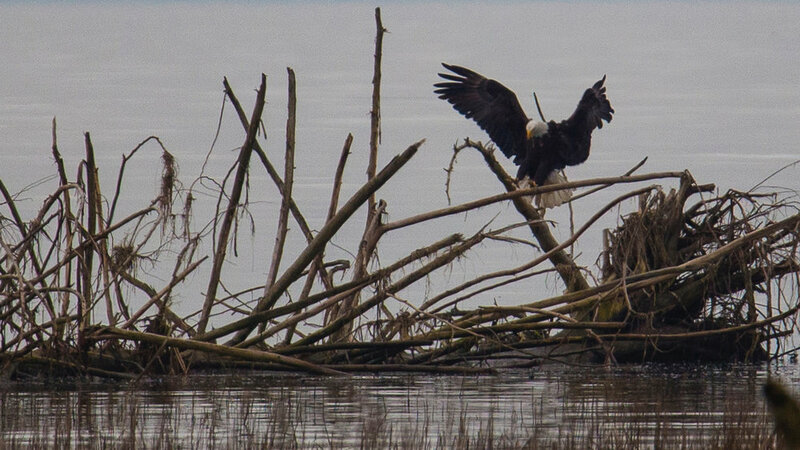 They were a bit far out and mostly hidden by the reeds at the water’s edge, but it did give me a chance to spot a couple of eagles that were eight battling for turf, or doing some sort of mating ritual. 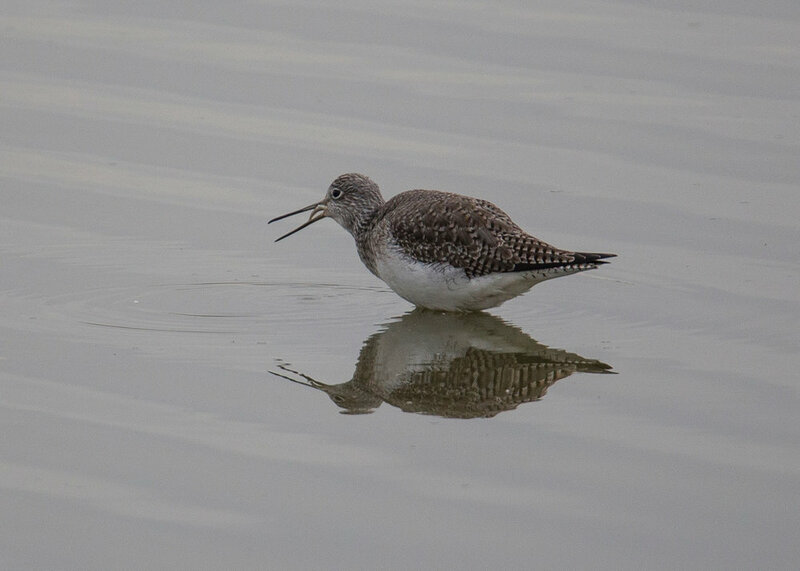 It was far off and in bad light, but I managed to capture a few interesting one! 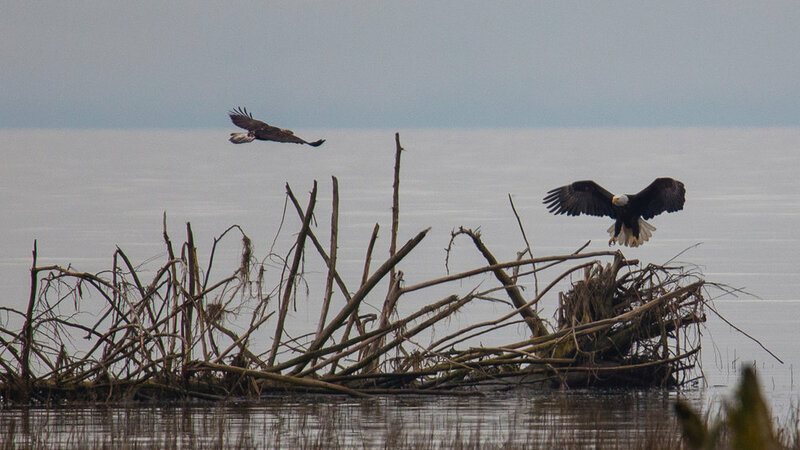 The pair of eagles seemed to be fighting over territory… or maybe mating - not really sure but it was cool! It didn’t last long, and eventually one of them flew off. 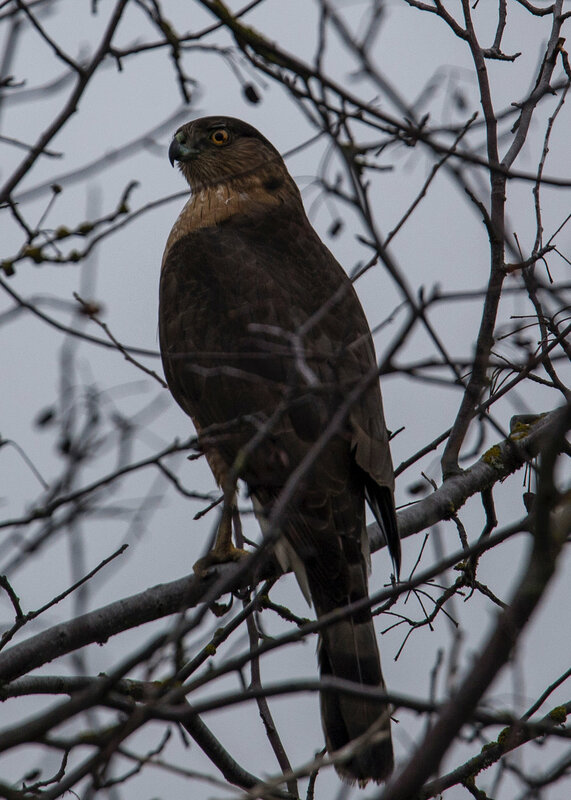 As I continued along the outer trail, a sharp-shinned hawk flew and landed in a tree not 20 yards away. Continuing along the outer dyke, I noticed a female northern harrier in flight, low over the marsh. She didn’t look to be hunting, and instead seemed to be making a straight line for one part of the marsh. 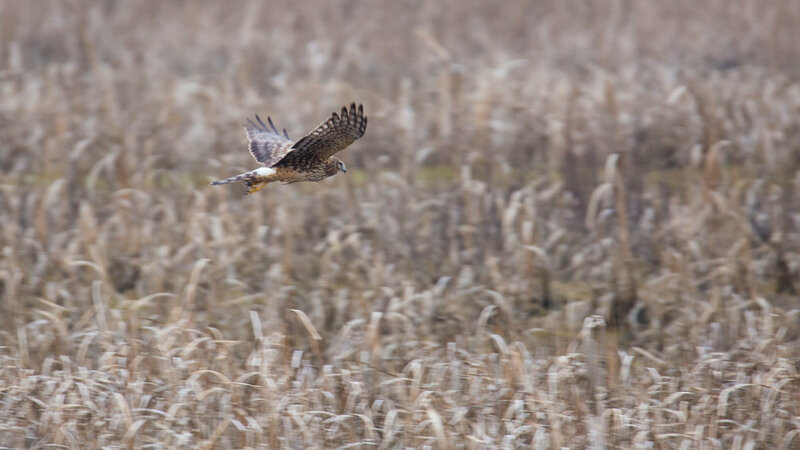 The northern harrier coming in for a landing. She seemed to settle down into this one area - I think it might even be a nesting site. 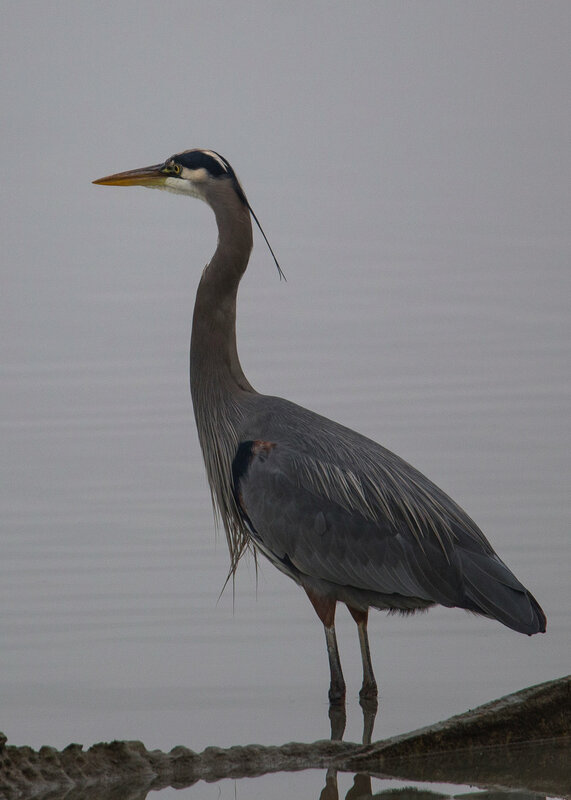 Another blue heron looking for lunch. A separate female northern harrier, this one did seem to be in hunting mode. I believe this is a Song Sparrow, but I’m open to being corrected. 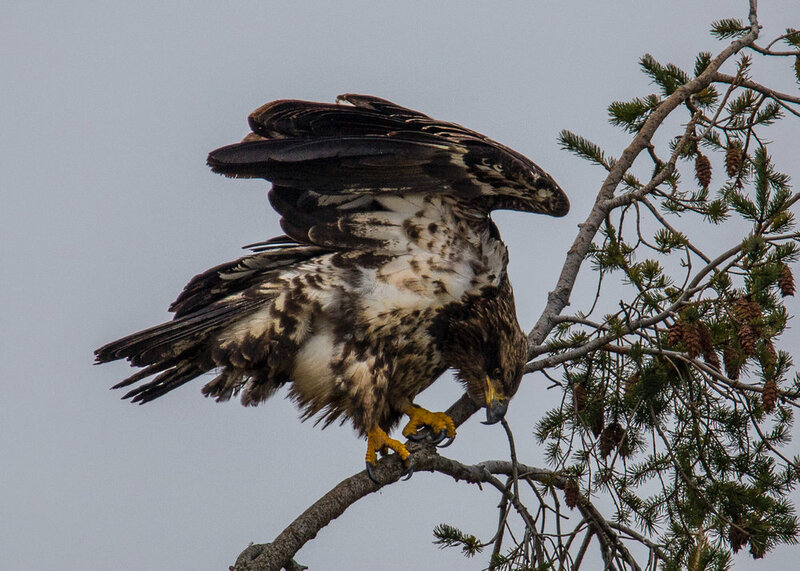 What struck me was the pattern on the feathers from behind - looks like eyes on a much bigger bird! But he was in full voice. 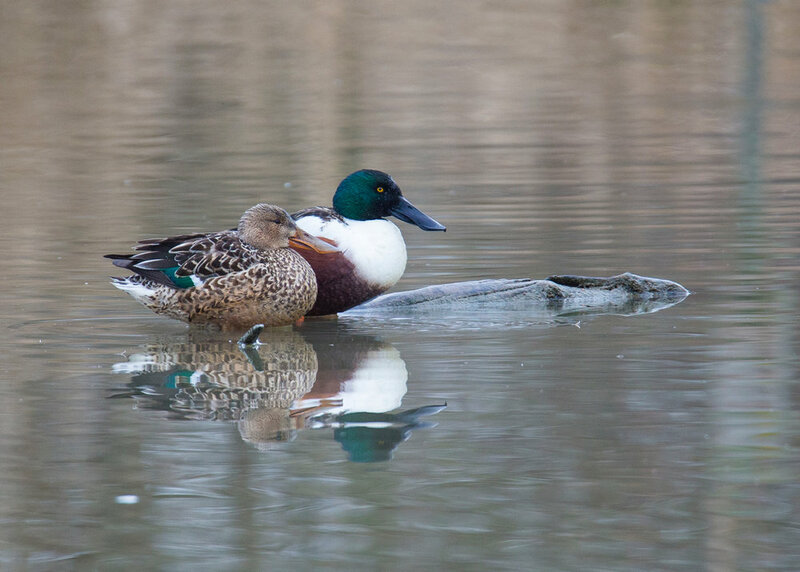 Male and female northern shoveller. 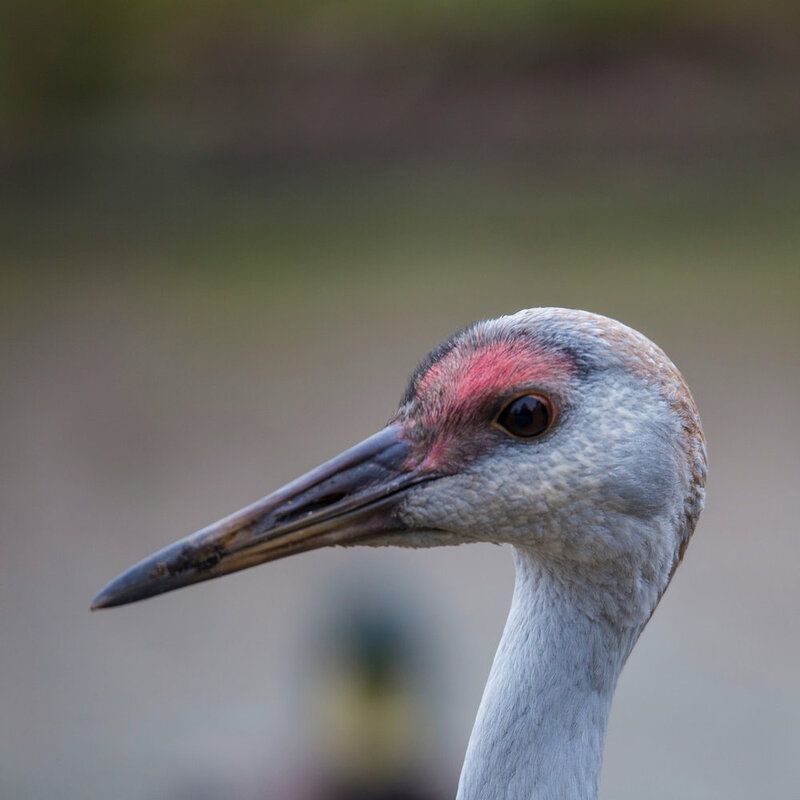 The juvenile Sandhill Crane is finally adding some colour to his head. 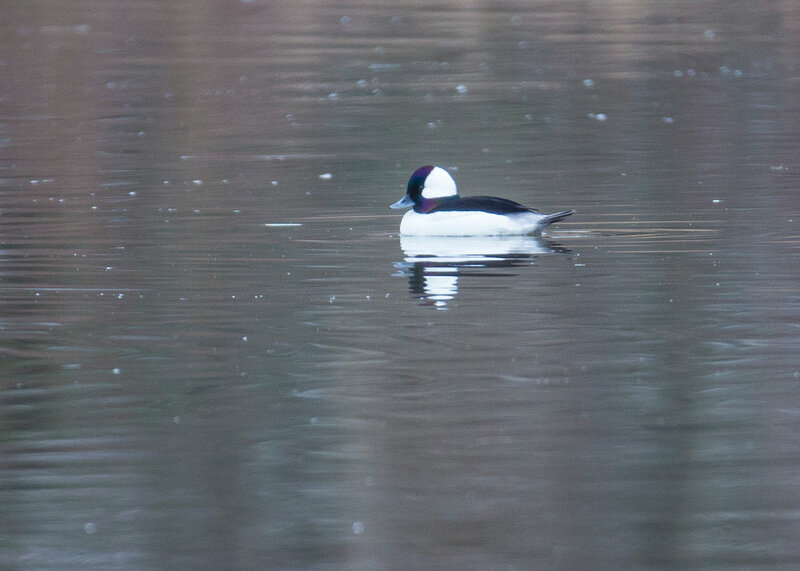 This was a new one for new - there was a mating pair of Hooded Mergansers! And on the way out, there were a few Common Mergansers. Another new one for me.